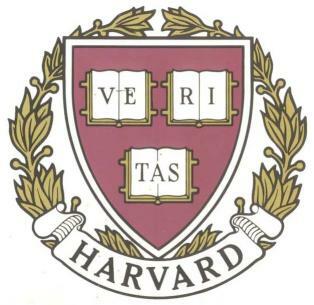 Harvard Law School Offers Seminar on "Tax Planning for Marijuana Dealers"
sterfuck, which results in confusing tax issues for those who are distributing marijuana legally under state law – such as medical marijuana dispensaries in California. Harvard professors have started to take note, recently offering a tax seminar that explicitly covered how to handle taxes – specifically obtaining tax deductions – even if you’re running a federally illegal marijuana business. The seminar was presented yesterday, April 24th, by Professor Benjamin Leff of American University’s Law School. Professor Leff was presenting information from a paper he authored, titled, Tax Planning for Marijuana Dealers. The presentation was a considerable part of Harvard’s Tax Policy Seminar, which was hosted by Harvard Professor Stephen Shay. Among other issues, the seminar discussed how marijuana distributors can get around Section 280E of the federal tax code, which denies them tax deductions, even for legitimate business costs, because they’re labelled as an illegal drug operation. Professor Leff explains ways to go around this, and still obtain useful and in some instances necessary tax-reductions. It’s unclear on whether or not Harvard will offer these types of seminars in the future. However, even if they don’t, there’s no better sign of changing times than Harvard Law School teaching people how to run a legitimate marijuana business.